Built 1959 by Henry Scarr Ltd., Hessle. YN762. Screw Tug. L113'7''. B28'9''. D12'6''. 272grt. 1280bhp 8cyl British Polar diesel engine. 12 knots. 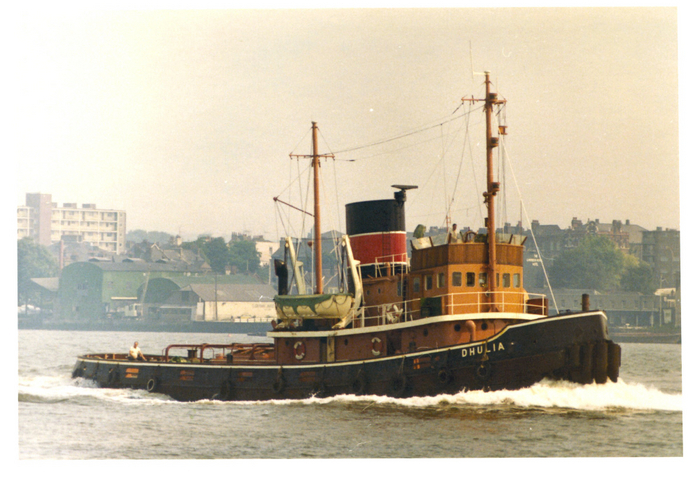 1969 Transferred to London Tugs Ltd.
1975 Owners the Alexandra Towing Co. [London] Ltd.
1980 Transferred to Alexandra Towing Co., Gt. Yarmouth. 1985 Scrapped by Arie Rijsdijk Boss and Zoonen, Hendrik-ido-Ambacht.